Hasenfus, William A. 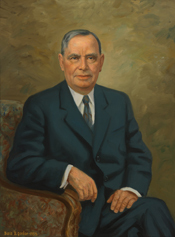 Managing Partner: Joseph W. Martin, Jr., Republican Leader of the United States House of Representatives, 1939-1959. Ph.D. diss., Boston College, 1986; Martin, Joseph William. My First Fifty Years in Politics, as told to Robert J. Donovon. New York: McGraw-Hill, 1960.